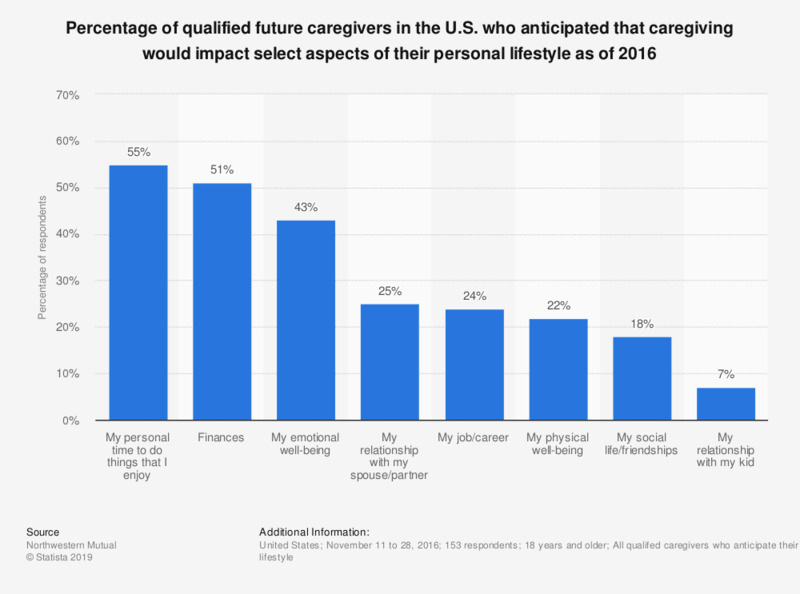 This statistic displays the percentage of qualified future caregivers in the U.S. who anticipated that caregiving would impact select aspects of their lifestyle as of 2016. According to the survey, 55 percent of respondents believed that caregiving may impact their personal time to do things that they enjoy. Original question: "What areas of life do you expect caregiving to impact the most? Select up to three."